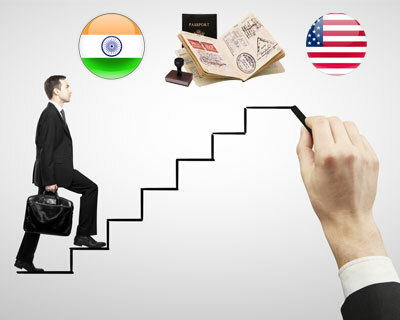 Wishing to apply for US F1 Visa from India? Don’t worry; we present you the complete details about F1 US visa application process. The US, a federal republic with 50states and 318 million people is renowned for foreign citizens, who come for abroad studies. If you are one amongst who is planning to build your career by studying in US, then you are at a right platform where you can get detailed info on the procedure for applying US F1 visa. US F1 visa is one of the most crucial visas for students who wish to pursue academic studies with enrollment in approved US schools and colleges. The crucial point in the F1 visa is that an individual must know as to what’s the right course, the right college and about the mandatory 18 hours of study in a week. Apply for US F1 visa by following the essential guidelines that are being listed below to successfully acquire F1 US Student Visa. Make an attempt with full preparation for US F1 Visa interview based on the appointment schedule that you have booked before. Answer to the queries that where asked by the authorities based on your study field to make your visa granted. If your visa is granted by the higher authorities you will receive an US F1 Visa stamped passport in 2-3 days. Indians students who want to get a US Student Visa, fill out MoreVisas Enquiry Form, so then one of our visa executive will get back to you. provide your mobile no and mail ID, so one of our visa executive will get back to you.